Alex the tortoise lived to the ripe old age of 100, and will be fondly remembered by keepers and visitors. 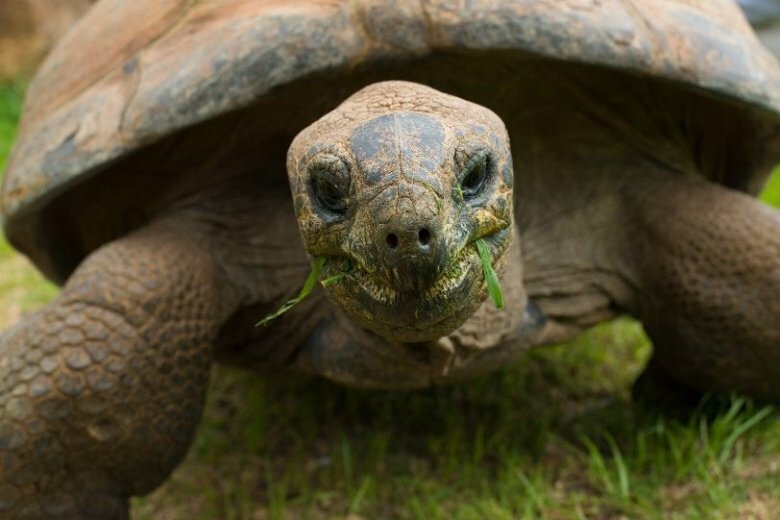 WASHINGTON — The National Zoo is mourning the loss of Alex, an elderly male Aldabra giant tortoise who passed away on Tuesday. Zookeepers say Alex the tortoise lived to around 100 — a ripe old age for one of the world’s largest giant tortoise species, which have an estimated life span between 100 and 150 years. When Alex was born, Woodrow Wilson was probably president. “Keepers fondly remember Alex as a social and personable tortoise who enthusiastically participated in training sessions and enjoyed relaxing in a cool and often muddy section of the outdoor yard,” the Zoo said in a news release on Friday morning — adding that the gentle, loving giant would be fondly remembered as a favorite with visitors and keepers alike. In early July, Reptile Discovery Centers keepers noticed Alex sleeping more and eating less. A diagnostic exam revealed a large volume of fluid inside of his shell and enveloping organs, including his heart. Despite all attempts to save the ailing tortoise, his health continued to falter, and Alex’s quality of life fell to the point where zoo staff felt the best option was to euthanize. A final pathology report will determine exactly what afflicted him. Alex was one of the National Zoo’s oldest residents, having arrived its Reptile Discovery Center as an adult from the wild when he was about 30-years-old — in 1956. For the next 62 years, the zoo says Alex served as an ambassador to his species, helping researchers gain valuable insight into the life and ways of the Aldabra tortoise. Alex’s species — island dwellers native to the Seychelles in the Indian Ocean — are considered “vulnerable” to extinction due to excessive hunting, habitat loss, introduced predatory species like dogs and pigs. Reptile lovers can still see Rulon and Chyna, two adult Aldabra tortoises on exhibit at the Reptile Discovery Center.